Freejump Pro Grip Stirrup Leathers are a single strap leather in an extra wide design to provide unbeatable riding comfort and the guarantee that the stirrup leathers will not twist. The upper part of the leather enables an even more precise adjustment of the length than conventional stirrup leathers. The leathers utilise biothane material on the inside of the upper part of the leathers; the biothane reinforces the upper part of the leathers allowing more holes in the same short distance (30 holes instead of 20 as found on conventional leathers). These Freejump Stirrup Leathers have an interchangeable panel on the inside of the leg enabling additional grip as required to keep the lower leg in place. Both a suede panel and a rubber grip panel are provided with a velcro backing. 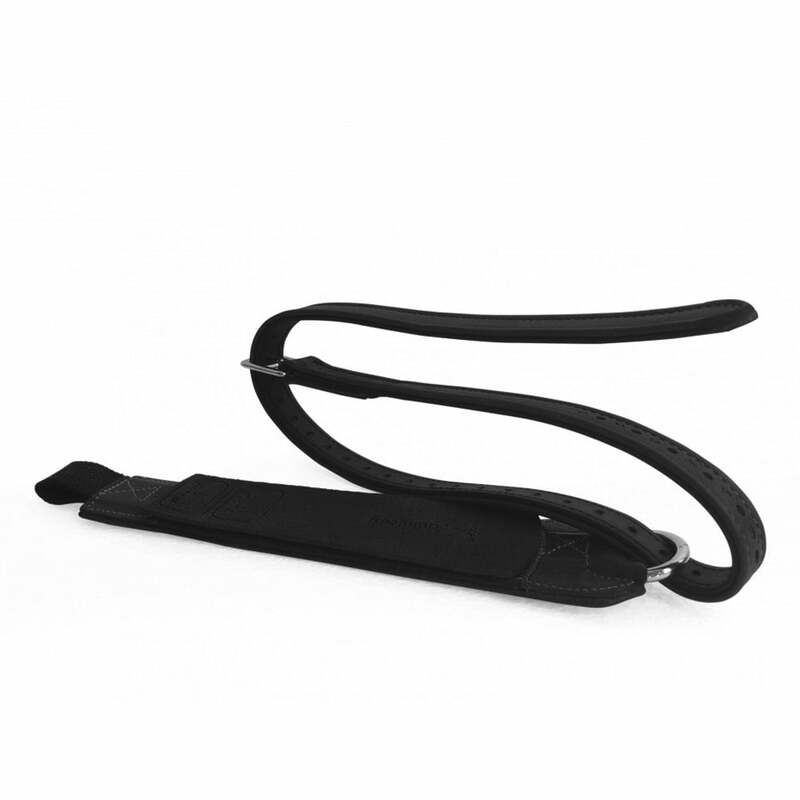 The rubber grip panel offers maximum grip by giving a more stable lower leg position and the single strap design ensures minimum bulk for a closer lower leg. The leather used in these Freejump Stirrup Leathers is vegetable tanned which is more environmentally friendly and less harmful to producers. Vegetable tanned leather does not trigger allergies and enables a more natural shade of the leather.